When you are feeding your dog you may end up getting a dog bowl that will sit on the floor. However, what you need to realize is this is not going to be the best way for the dogs to eat. The dogs are going to be standing when they are eating. However, what you need to realize is when the dogs are standing to get the food they are going to improve their stance. This means they are going to finally look right and not have the curves spine or even have to keep their head down all the time to get the dog food they are trying to eat. Bloat is a serious problem and in the larger breed dogs, it is a condition that is deadly. In fact, after the age of five to six the larger breed dogs and those with a deep chest wall are very susceptible to bloat. So you will like the fact that these bowls are going to encourage your dogs to eat slower which is going to reduce the chances they have bloat at all. When your dogs are standing up to eat they are going to be just like us when we are sitting upright. They are going to have a better chance of the food getting down into the digestive tract. This will help the dogs digest the food and allow the dogs to get the food moved about the body properly. 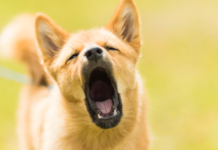 When your dogs are laying down to eat you will notice it can lead to some health problems. However, it can also make it harder for the food to digest properly. So the elevated bowls will keep the dogs standing and this will allow the dogs to keep the food moving down the digestive tract properly. Just like humans, dogs can develop arthritis and it can be very painful. 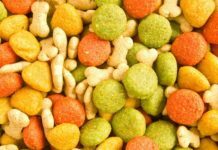 However, if your dog starts to get arthritis in their neck it is going to be very difficult for them to get the food up out of the bowls. 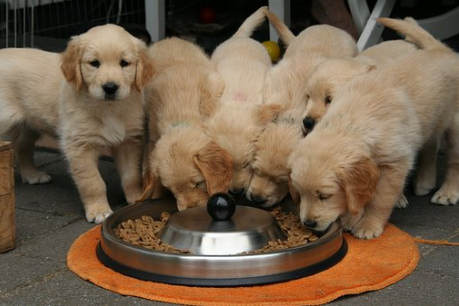 When the bowls are elevated, though, the dogs are going to have the food at their level and not have to move their neck. 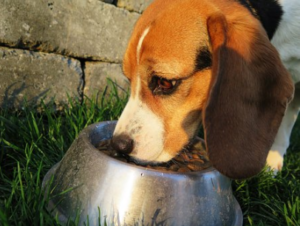 Vomiting can happen after your dogs eat and sometimes that is because of the way they are eating. When the dogs are using an elevated bowl the food tends to go down into the stomach, instead of getting stuck like it would in people with a hernia. When a dog is bent over eating or drinking they tend to make more of a mess. That mess then gets stuck to their fur and this means you will have an even bigger mess than what you were expecting when you are trying to get your dog cleaned up. While swimming in the water bowl is funny, it does make a big mess on the floor. 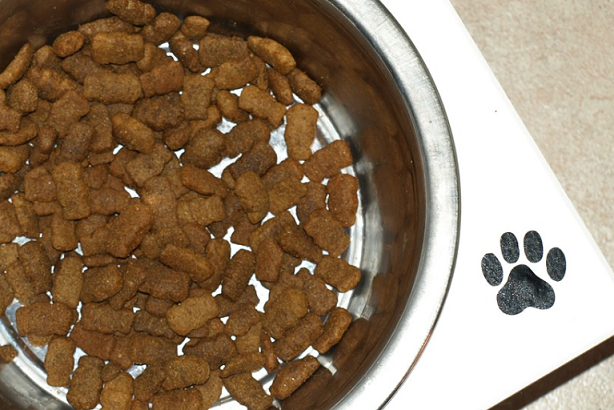 When you are using an elevated bowl, you will find that the messes are going to be eliminated because the dogs will not want to swim in their bowls. Dog bowls that are elevated are going to help you out as well. The bowls will help keep you from having to bend over all the time and it will help you in not having as much of a mess to pick up from the pets. Almost everyone gets a chuckle out of watching the dogs chase the water bowls around the floor. However, you will find this can be annoying for the dogs. 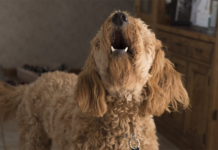 When the bowls are in the stands and elevated they will no longer be sliding across the floor making it difficult for your dogs to get the food or water. 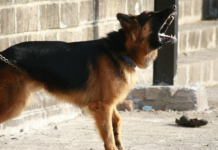 Food aggression can be a serious problem and if you have larger dogs it can be difficult to stop. With the elevated bowls for larger dogs, it tends to reduce the aggression issues and allows for more control over the dogs. Some dogs are going to have their entire food gone in a single bite. However, this is not healthy and often leads to the dogs getting sick. When you have the elevated bowls you will find they are going to slow down on the eating and not going to eat the entire bowl in a single gulp. With some of the bowls that are elevated, you will notice that you can move the height around. This is going to make it easier for you to find the height that will work best for your dogs and set it right. As you can tell there are quite a few health benefits for your dogs and this is just the start. 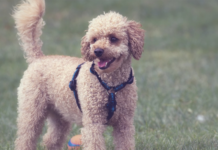 You can find even more health benefits for dogs and elevated bowls, but this is a good enough start to make you want to go out and buy the dog bowls that will help your dogs out in more ways than what you imagined.